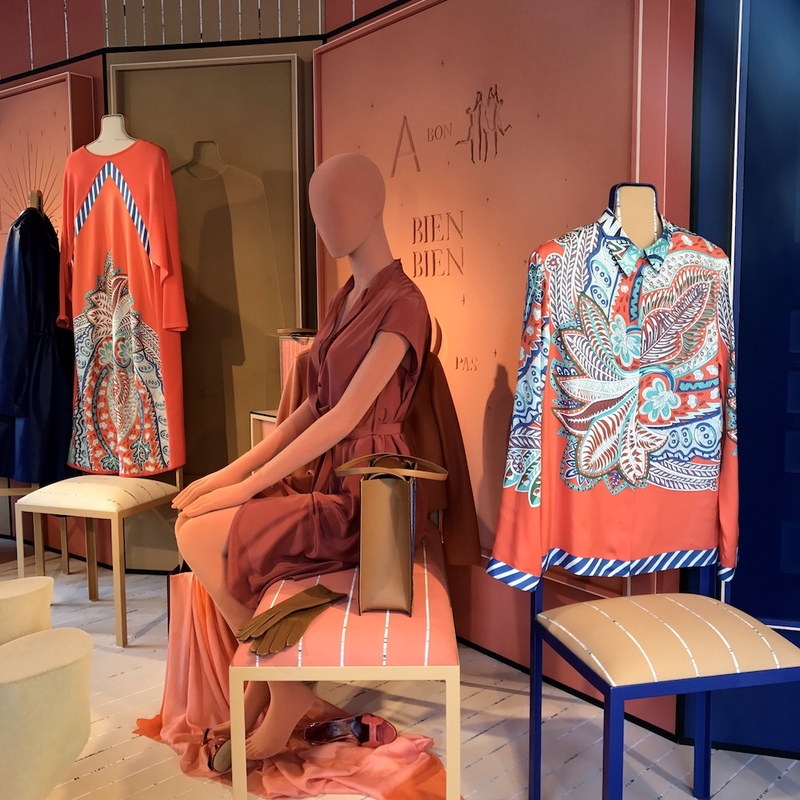 As always, the Hermes windows at the rue du Faubourg-Saint-Honoré store are not only a marvel to look at, but a fantastic source of inspiration too. The beautiful color combinations provide fresh ideas for everyone's spring and summer wardrobe, while the beauty and craftmenship of the items on display take your breath away. Hope you enjoy looking at the windows as much as I did capturing them for you! 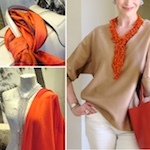 Coming next: A new scarf and MaiTai Collection spring/summer additions! As Always thank you for the wonderful inspiring pictures at Hermes and I can't wait for your next post ( the new scarf-could it be by chance Parures de Samouraïs?) and seeing your new wardrobe additions.! Looking very forward to your next post. Certainly some beautiful treats in those windows, and I love the bright orange and blue combination. It reminds me of a Mediterranean summer in Greece! If only we could actually buy some of the lovelies. Have a most wonderful birthday on Friday. The Swans are all going to sing Happy Birthday to you across the many miles, so keep those pretty ears open. 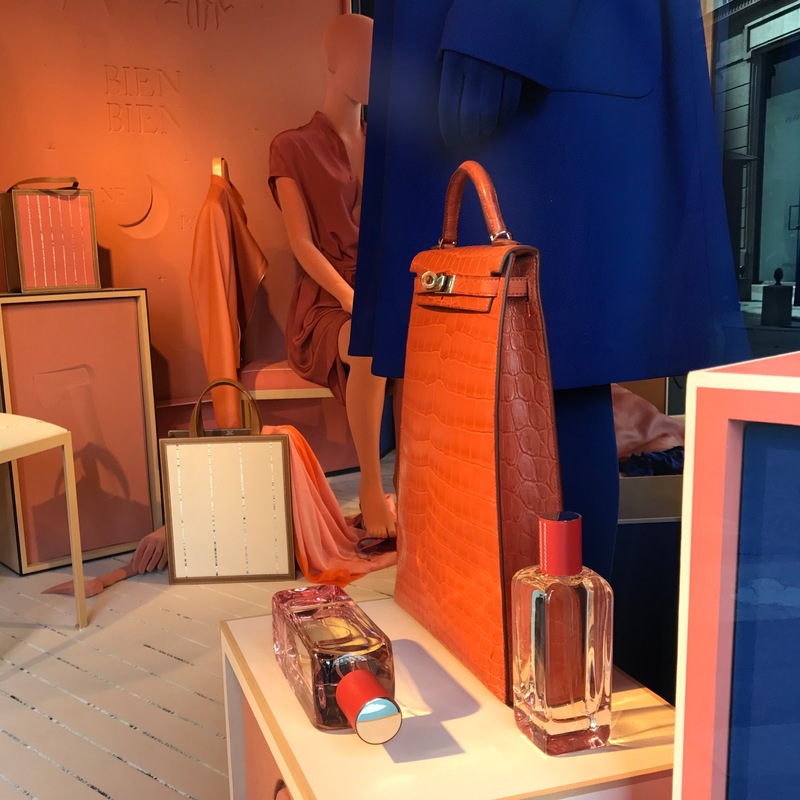 Your photos of the Hermès windows are, once more, a real treat for all those who don't make it to Paris often and a great source of inspiration. I'm very curious about your new addition - I could bet it's around your beautiful neck as we speak - and how you style it. Let's see who is right, my feeling also tells me it could be the fantastic Samourai? Have a fabulous day while we continue to sing and celebrate you! 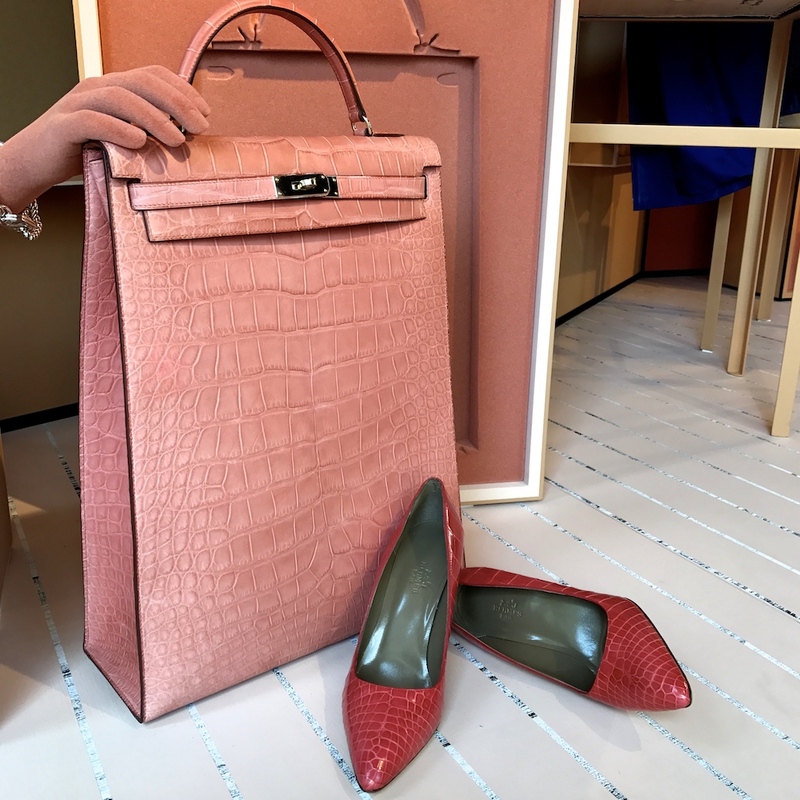 I ADORE the long narrow croc.......................perfect bag for me so I do not CARRY TOO much on my shoulder.What caught YOUR EYE? I canNOT BELIEVE they HAD MILO in the window!!! 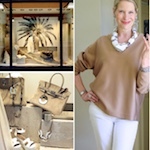 Come over and visit MY BLOG.........doing a series on AGELESS WOMAN and I AM UP on Cindy's POST! Happiest of birthdays to our lovely leader swan! I hope it's wonderful. Now, y'all, don't throw me out--because I think all the window photos are lovely, but my heart leapt at the photo of the china! Such lovely colors and patterns! Can't wait to see your newest addition--maybe have one of your boys model it? They're so handsome! Hope you had a most wonderful and loving birthday doing something you love with those you love, darling MT! Love it when you take us on a stroll to Paris and share what you see! In particular, I find that black KC drool worthy! Look forward to seeing your new silk addition as well! :-D Oh, I bet you loved the Dachshund!!! Thank you for taking us with you to Hermès once again. It is always great to see Hermès beautiful windows. The scarf is just FABULOUS, I love the colours and the way you have styled your outfits. 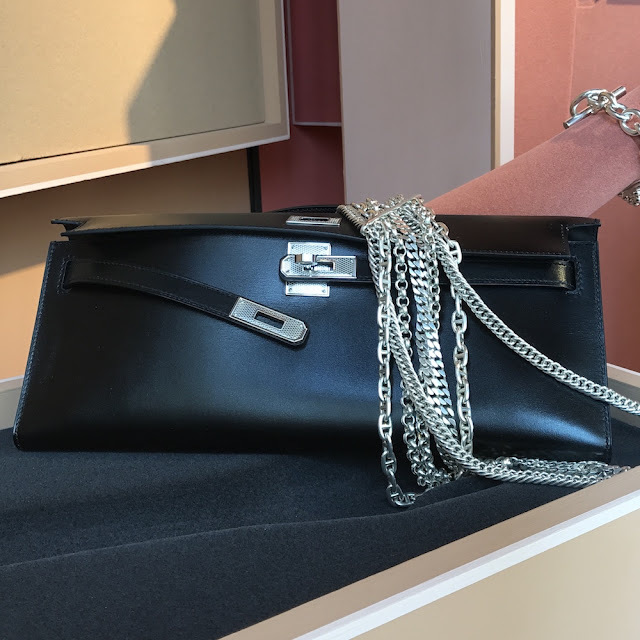 I really would like to buy one but I can't seem to find this colour on the British website-do you know is it only available in the Hermes shops?